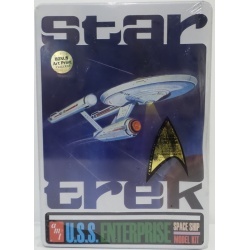 Moebius Models is proud to announce the first of an all-new series of Star Trek model kits based on the new Star Trek movies. 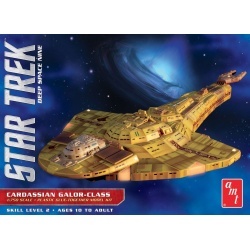 The first kit out of spacedock is the U.S.S. Franklin, from Star Trek Beyond. 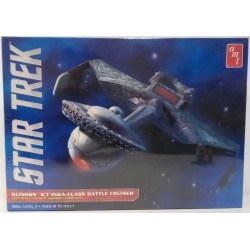 Measuring over 15 inches long and nearly 9 inches wide, this precision-tooled styrene kit features screen-accurate detailing, based on actual digital visual effects files. 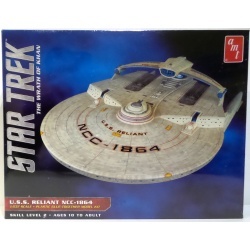 This skill-level 3 kit includes clear bussard domes and clear windows, as well as a Starfleet insignia display base. 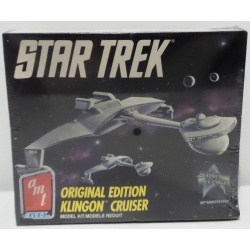 The kit also includes decals (with “worn” and “new” options) and a full-color instruction booklet, including detailed painting tips. 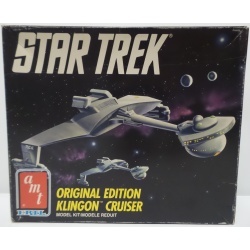 Packaging features box art by legendary Star Trek production illustrator, John Eaves. Kit requires paint and cement — sold separately. The U.S.S. 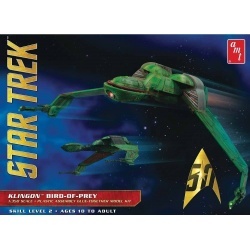 Franklin, Starfleet registry NX-326, was the first Starfleet vessel capable of warp 4. It vanished in 2164; the mystery of its disappearance was long the subject of speculation. 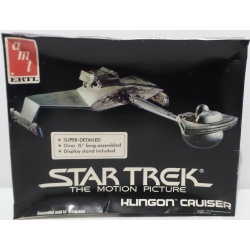 It was discovered by the crew of the U.S.S. Enterprise in 2263, fully intact and resting on the surface of the planet Altamid. 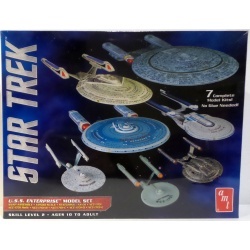 This set showcases all seven versions of the ship all in the same 1/2500 scale including for the first time ever an all-new 1:2500 scale kit the NX-01 Enterprise! Each kit is injected in color and snaps together so no glue is required. Pressure sensitive decals provide intricate surface details, pennants and registry letters without the need for water or detailed painting. Every ship comes with a sturdy base.